We’ve made booking your New Zealand tour easy! 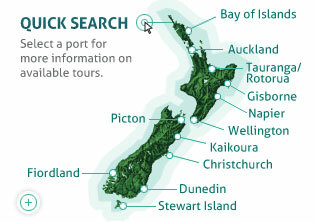 You will find a helpful map of New Zealand on the NZ Shore Excursions homepage and on each individual port’s page – click on the corresponding port of call that you would like to book a New Zealand tour for. Here you will find a list of New Zealand tours and activities, find the one you’d like to book and hit the Book Now button. You’ll be taken through the booking process, ensure the dates you select are the same as what appears on your cruise itinerary. If seats are available, you will receive an immediate confirmation by email and your tour vouchers and details. If the seats are pending confirmation, you will receive a confirmation email within 24 hours before your vouchers are allocated and the transaction complete. 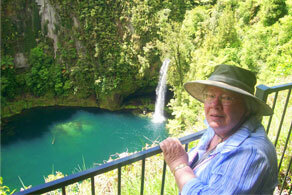 Please click here to view your options with New Zealand Shore Excursions, including Tauranga and Rotorua tours. The tour yesterday was fabulous. Hope you can stay busy all summer. I will write a review to tripadvisiors when I get back to Texas.